Sure, you know all the lyrics to "We Are The Champions" and "Bohemian Rhapsody" but how much do you really know about the band behind the hits? The front man of the band is especially mysterious, with little known about his life and his struggles. We know that he was a creative genius, and honestly that's all that really matters. But after all these years, the band has decided that it's time that we get to know him a little bit better. They originally teamed up with actor Sacha Baron Cohen to bring their story to life, but after creative differences it fell apart. Now, their lead man is actor Rami Malek, and he's turned out to be everything the band had hoped for. Lead guitarist Brian May said, "Rami has great presence and he’s utterly dedicated to the project. He’s completely living and breathing Freddie already, which is wonderful." The rest of the band's new cast was announced several months ago and includes Gwilyn Lee as Brian May, Joe Mazzello as Roger Taylor, and Ben Hardy as John Deacon. The first images of Malek in his Freddie Mercury costume got everyone psyched, but we've got something even better now. The trailer is out, and now we get to see everything in motion, and also answers to some of the questions we had. The movie is named after the bands most popular and epic song, and the description is definitely interesting. 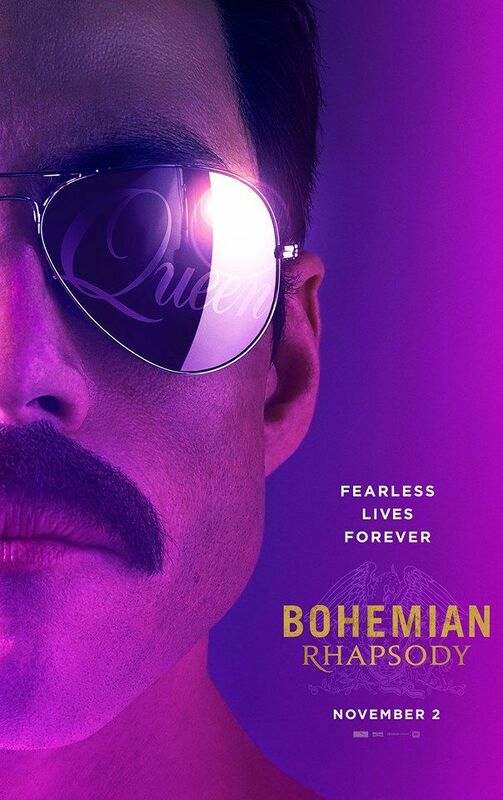 "Bohemian Rhapsody is a foot-stomping celebration of Queen, their music and their extraordinary lead singer Freddie Mercury, who defied stereotypes and shattered convention to become one of the most beloved entertainers on the planet. 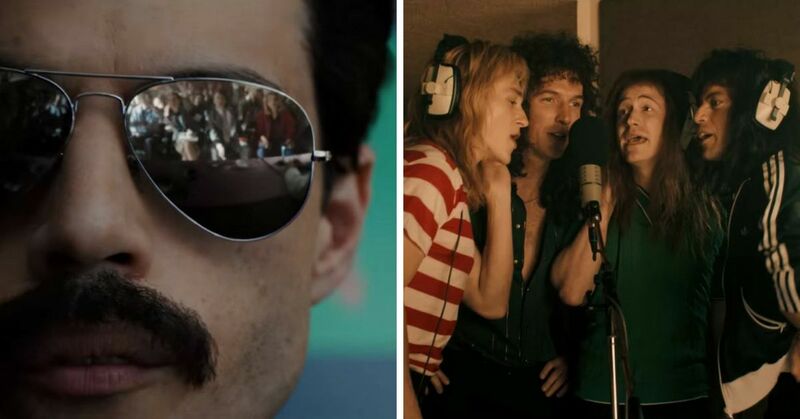 "The film traces the meteoric rise of the band through their iconic songs and revolutionary sound, their near-implosion as Mercury’s lifestyle spirals out of control, and their triumphant reunion on the eve of Live Aid, where Mercury, facing a life-threatening illness, leads the band in one of the greatest performances in the history of rock music. "In the process, cementing the legacy of a band that were always more like a family, and who continue to inspire outsiders, dreamers and music lovers to this day. Obviously the trailer won't give us the whole picture, but what we can see so far is pretty incredible. First of all, Freddie Mercury isn't Freddie Mercury without those epic teeth. A lot of times movies will try to soften features that make people different or unique, but this time they fully embraced it. The swagger is another thing that Malek seems to have managed to completely nail. He's got the confident walk, the excellent jabs at what seems to be a producer, and even just the facial expressions. He's got the charisma that we've been hoping for, and honestly he looks great in all those iconic costumes. Malek is probably getting excited for people to see the movie. When they were filming he started to feel like he was really embodying the character. The preview sounds like they will be using a lot of the band's actual music, or at least that what we hear in the trailer. 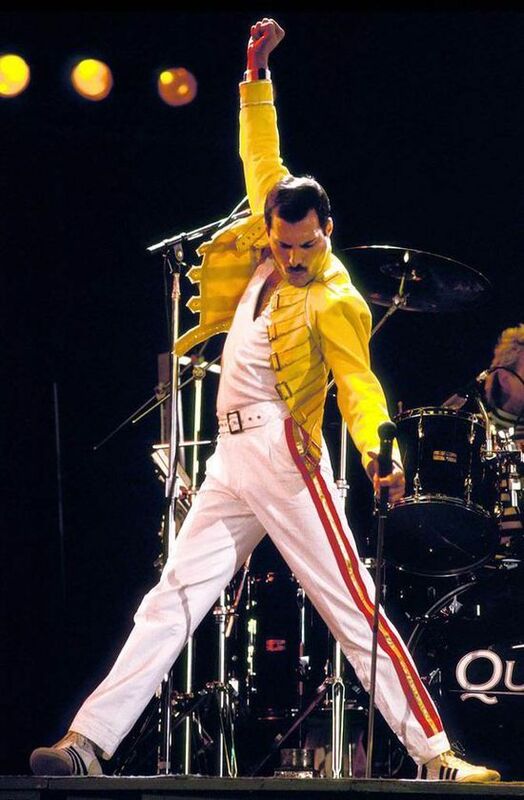 Malek did say he was working in a studio to try and get ready, but I mean, I don't think there are any lessons or tricks you can use to sound as good as Freddie Mercury. He did reveal the plan when they started filming, but we will have to wait for the movie to know for sure. Bryan Singer is directing the biopic and he claims that the plan is to honor Freddie Mercury with the movie. The movie comes out on November 2nd, and then we'll be able to see all the things that they have in store for us. It's nice knowing that the band has been very involved in the process, because it's pretty much guaranteed that they will honor their friend in a way that he would see fit, while also giving us fans the details we've been looking for. Seriously, the preview looks amazing and looks as though it's got a lot of his classic outfits in it. Hopefully these ones make an appearance because they are legendary. Maybe we'll get to find out more about the time he was able to sneak Princess Diana into a gay club once.